• A packed programme of family activities and events for all ages. Can’t make it to this year’s Air Tattoo or want to watch it again? PlanesTV will be broadcasting live from cameras situated around RAF Fairford on Friday 13, Saturday 14 and Sunday 15 July to bring you an amazing live experience, wherever you are in the world. – On Demand replay of the broadcast available for 7 days – so if you miss something you can come back later and enjoy. Earlybird discount ends midnight 30 June and prices will then increase by £5. So, Log in, sit back and watch the world’s greatest airshow from the comfort of your own home! 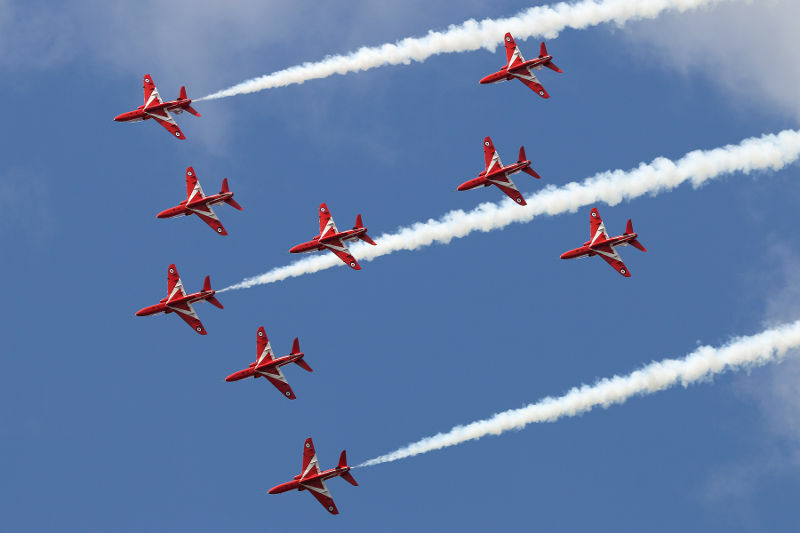 This summer’s Air Tattoo will feature a thrilling seven-hour flying display, featuring fast jets, aerobatic display teams, helicopters and giant transports. Tickets give access to live broadcast and also a video on demand replay until midnight on Sunday 22 July, so you can watch it again and again! 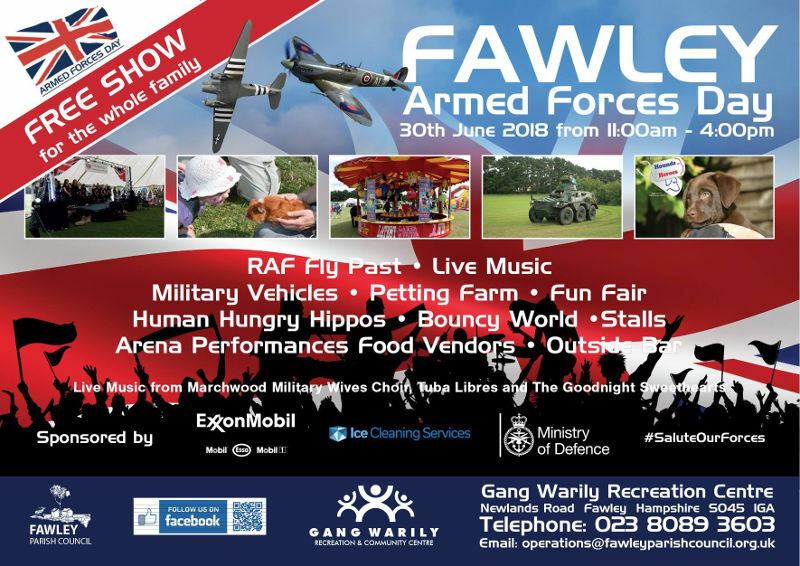 Organisers of the Fawley Armed Forces Day taking place Saturday 30 June 11.00 – 16.00 at the Gang Warily Recreation and Community Centre are thrilled to have received confirmation that there will be a fly past by both a Hurricane and Spitfire aircraft (weather dependent) at approximately 15:50pm. This is in addition to the Royal Electrical & Mechanical Engineers Parachute Display Team who will perform their unique routine at approximately 12:00pm. 2018 is the centenary year of the Royal Air Force, 100 years since the end of WW1 and the 10th anniversary of Armed Forces Day so please come along to show your support for our service personnel. The event will also include live music, a large bouncy castle world, human hungry hippos, a petting farm, fun fair, stalls, bar, food vendors and once again weather dependent, a large military vehicle display. Fawley Parish Council would like to thank ExxonMobil, Ice Cleaning Services, the All Saints Fawley Events Team, the Ministry of Defence and County Councillor Alexis McEvoy for their sponsorship and support for this event. A special open day which will include a demonstration taxi run of one of the most iconic airliners ever to grace the skies takes place at Dunsfold Aerodrome on Saturday 7th July. 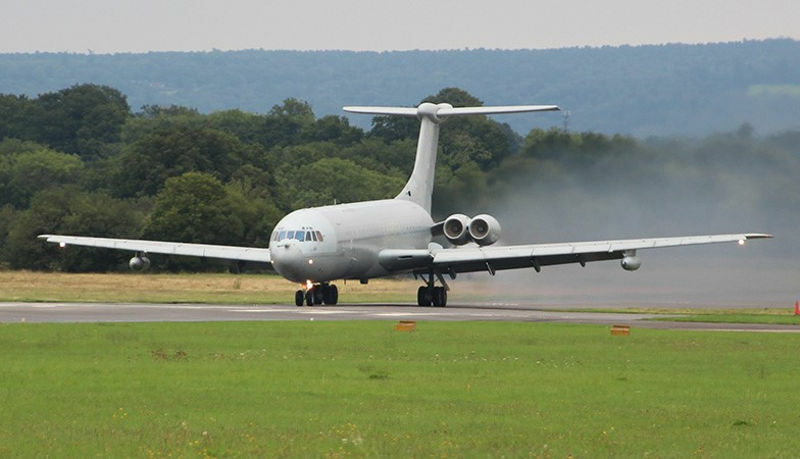 ‘ZA150’ was the very last VC10 of 54 built at Brooklands in the 1960s and was one of the last two to fly with the RAF from Brize Norton in Oxfordshire. On its retirement in September 2013 it was acquired by Brooklands Museum and flew in to Dunsfold, where a team of dedicated volunteers maintains it in running order. 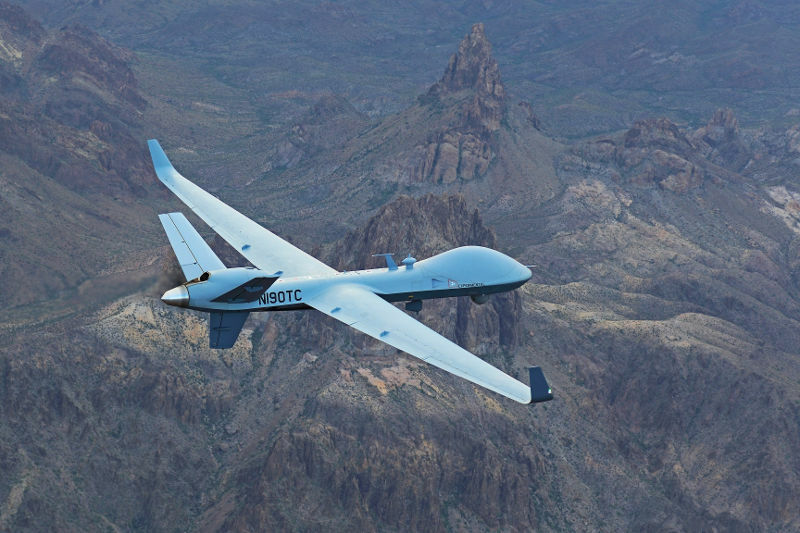 A transatlantic flight by a civilian-registered Remotely Piloted Aircraft (RPA) taking part in next month’s Royal International Air Tattoo in Gloucestershire is set to usher in a new era in unmanned aviation. As the first transatlantic RPA flight to land in the UK, it signals the beginning of a new chapter in the history of aviation and brings closer the possibility that one day, airlines may routinely operate aircraft remotely. The General Atomics Aeronautical Systems’ MQ-9B SkyGuardian is due to take off from its base in North Dakota and embark on a 4,000-mile journey to RAF Fairford piloted by an operator located at the aerospace company’s Flight Test and Training Centre in Grand Forks. It has a wingspan of 79ft and can fly non-stop for in excess of 40 hours. The aircraft, arriving in advance of the Royal International Air Tattoo on July 13-15, is scheduled to touch down in the UK on Wednesday, July 11. The CAA has approved SkyGuardian’s flight in UK airspace and has issued guidance to pilots and aircraft operators to take note of a series of airspace restrictions that will be put in place over certain areas of the UK to ensure its safe journey. The Royal Air Force is due to bring into service the UK variant of MQ-9B SkyGuardian, known as PROTECTOR RG Mk1 which will increase its long-range surveillance and precision strike capabilities. It will feature in the static park as part of the Air Tattoo’s international celebration of the Royal Air Force’s Centenary. Air Tattoo Chief Executive Andy Armstrong said the airshow has a proud history of featuring aviation ‘firsts’ and he was pleased that this would continue in 2018. He said: “Remotely piloted aircraft, for both civilian and military use, are clearly an important part of aviation’s future landscape. We are already seeing a rapid growth in smaller airframes being used recreationally, for aerial photography and they have been used effectively in local search and rescue operations. We watch with great interest as further commercial applications are explored. 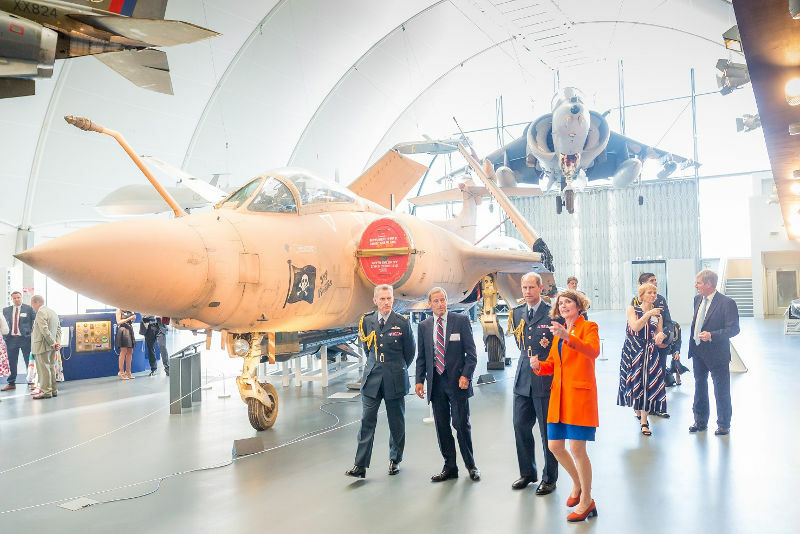 “It’s appropriate that on an occasion when we are celebrating the RAF’s centenary that we should present to the public not only aircraft from the RAF’s illustrious past and present but also offer a rare glimpse of its future. The Large Model Air Show is returning to the Royal Air Force Museum Cosford next month for a weekend of spectacular flying displays. Taking place on Saturday 7 and Sunday 8 July, this air show in miniature is set to entertain thousands of aviation and modelling enthusiasts with two full days of flying and family fun. Aircraft heading to the show have all been designed and built by members of the Large Model Association, who have dedicated years into making them a perfect replica of the real thing. With everything from biplanes to modern day jets, model aircraft at the show can take anything from two weeks up to seven years to assemble and some can even reach speeds of up to 200mph, powered by engines similar to petrol lawn mowers and or miniature jet engines. This year’s event will have a celebratory RAF100 flying theme with model aircraft representing 100 years of the Royal Air Force. Appearing at the show for the first time this year will be a giant Lockheed Constellation, a propeller-driven, four-engine airliner. Plus, exclusively for the Cosford show will be all three V Bombers, the Vulcan, Victor and Valiant flown together by the show organiser and three generations of the same family. The real V Bombers can of course be seen on display in the Museum’s National Cold War Exhibition. The Large Model Air Show promises to be a great day out for modellers and families alike with plenty of exhibitors signed up to showcase some of the latest model kits and aviation accessories. Families are guaranteed to enjoy the fun-filled line up which includes a children’s entertainment area. Plus, keeping visitors fuelled for the day, there will be a fantastic range of food and drink on offer including a beer tent and visitors will have access to the RAF Museum where they can view many of the aircraft flown during the show in full size. A free bus service will take visitors from the event to the Museum throughout the day, making getting around the site even easier. Exclusively for the Large Model Aircraft Rally, visitors are able to camp on site, meaning you can make the most of the weekend’s flying and activities by being at the centre of all the action. On site camping, including entrance to the show both days is only £40.00 in advance (until 4 July) or £50.00 on the gate and any visitors interested in camping should email public-camping@largemodelassociation.com or call 07827 675665. The concert will take place in the Museum’s National Cold War Exhibition Auditorium with seating for up to 200 guests. Attendance to the concert is free of charge and as places are limited, anyone interested in attending is asked to pre-register now via the Museum’s website in order to guarantee their place. Concert ticket holders will also receive a 10% discount voucher for the RAF Museum Shop, redeemable on the day. The annual Armed Forces Day is an opportunity to reflect and pay tribute to our heroes past and present, including current serving personnel, service families, veterans and cadets. 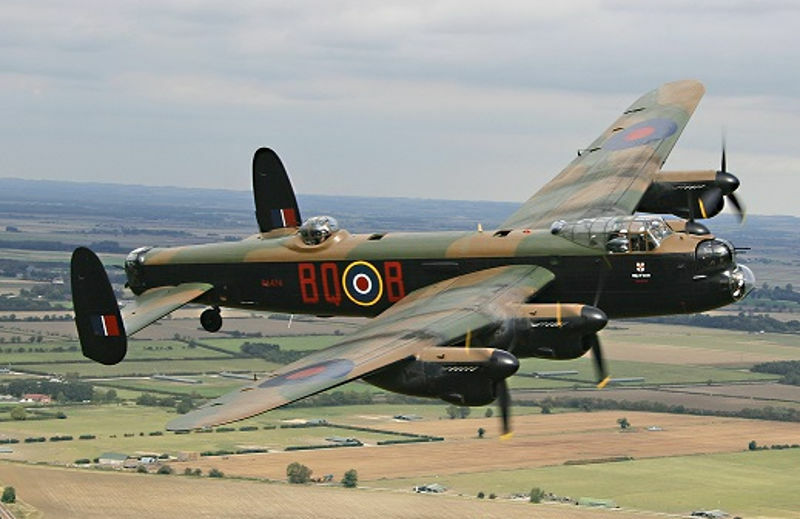 In addition to performances from one of the UK’s leading orchestras, organisers have lined-up a flypast from the Battle of Britain Memorial Flight Lancaster at 3.35pm (weather permitting). This icon of the Second World War will be flying overhead at Cosford and is sure to be popular with visitors young and old. The Museum’s on-site caterers Kudos will be offering Veterans, Serving Personnel and their families a special Armed Forces Day Ploughman’s Lunch. Guests will dine in a reserved area in the Refuel Restaurant overlooking the Museum grounds. Tables must be booked in advance by emailing whatson-cosford@rafmuseum.org. The ultimate celebration and commemoration of the past 100 years of RAF service is now available in the form of a new RAF Commemorative Anthology, produced by Extraordinary Editions in association with the RAF Museum. The anthology commemorates a hundred years of service and sacrifice, courage and honour, whilst celebrating the spirit and values of the people who have contributed to the RAF story is now available to order. The RAF Commemorative Anthology consists of over 650 pages of documents, orders, operational reports, maps, air diagrams, diaries, letters and ephemera, recording RAF life over its first 100 years. The entire edition is limited to just 1500 copies worldwide and books will be allocated on a strictly first come first served basis. Full details can be found at http://extraordinaryeditions.com/our-books/the-raf-commemorative-anthology/ A donation from all sales will be made to the RAF100 Appeal supporting the RAF Association, Charitable Trust, Benevolent Fund, Museum and the Royal Air Force. A collection of aircraft from the Royal Air Force Museum Cosford will be joining the line-up in a static display at the RAF Cosford Air Show, taking place on Sunday 10 June 2018. This year’s Air Show will feature a unique mix of aircraft, spanning the 100-year history of the Royal Air Force, which will be showcased in the flying display and in a special RAF100 Static Exhibition. This never before seen collection of aircraft gives aviation fans a once in a lifetime opportunity to see the revolution of air power over the last 100 years. Helping to make this display possible, the RAF Museum will be rolling out eight aircraft from its collection to be exhibited outside on the airfield, as part of the ground displays. Aircraft confirmed to appear will include the Bristol M1C a First World War monoplane introduced into the Royal Flying Corps (RFC) to compete with the Fokker monoplanes. Displayed alongside the Bristol and representing the early days of aviation will be the Sopwith 1 ½ Strutter, a two seat multi role aircraft used widely by the RFC, the Royal Naval Air Service and by the French, Belgian and United States Air Forces. 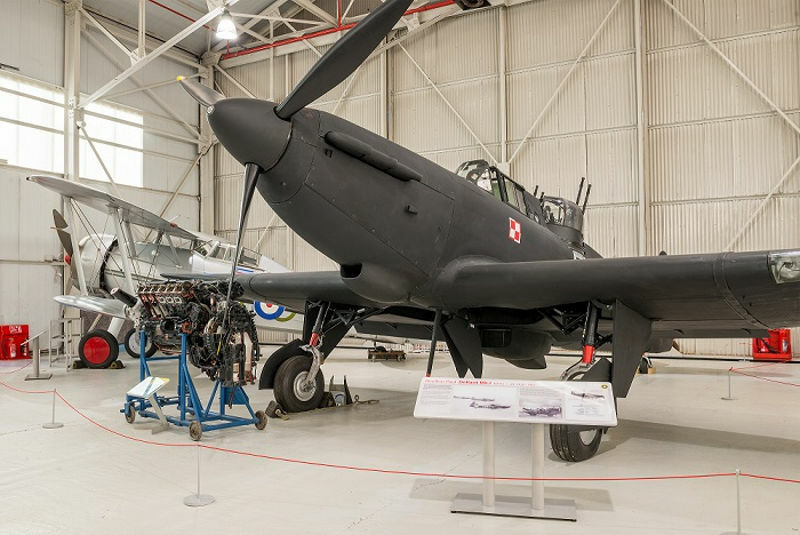 The Wolverhampton built Boulton Paul Defiant, a two-seat turret fighter operated by No 307 (Polish) Squadron RAF during the Battle of Britain, will be rolled out of the Museums ‘War in the Air’ Hangar to represent the Second World War era in the shows ground displays. Joining the Defiant will be the Gloster Gladiator 1, the first enclosed cockpit and last bi-plane to enter into RAF service, most successfully employed overseas particularly in the defence of Malta. A collection of post Second World War and Cold War transport aircraft, the de Havilland Devon C2, Percival Pembroke C1, both lightweight communications and transport aircraft and the Scottish Aviation Jetstream T1 pilot trainer, will also be joining the ground displays. This is the first time in many years these aircraft have been moved outside and is a perfect opportunity for aviation fans and photographers to get stand-alone photos. 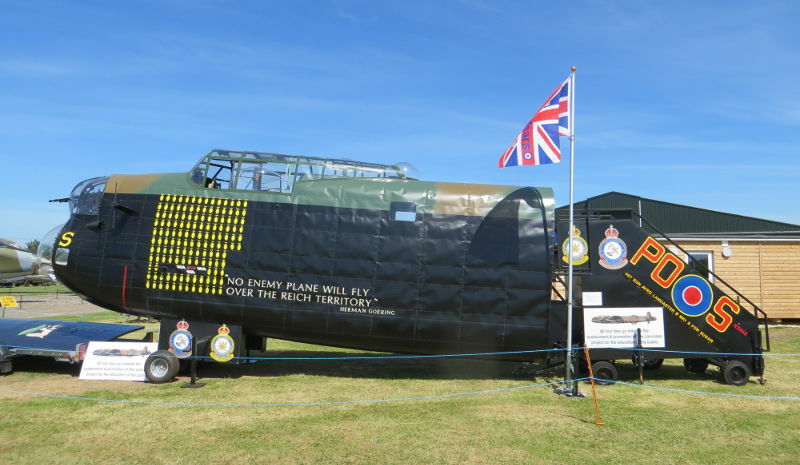 Organisers are confident the close-up access to some of the RAF’s most iconic aircraft through the ages will prove popular with visitors to the family show which attracts in excess of 50,000 visitors each year. In addition to the aircraft displays, the Museum’s Access and Learning team will be running workshops in the Whittle Innovation Hub, situated on the airfield. Families can enjoy some hands-on fun and take part in rocket car activities during free drop-in sessions, just one of the many STEM themed activities running throughout the day within the hub. Tickets for the RAF Cosford Air Show are advanced sale only and cost £29 per person with free entry for accompanied under 16s. Tickets will not be available to purchase on the gate so to avoid disappointment, visit the show’s website www.cosfordairshow.co.uk and book online. Tickets are also available to purchase in advance from the Museum. Preparations for the 2018 Cockpit-Fest are well underway at Newark Air Museum’s site in eastern Nottinghamshire; close to the border with Lincolnshire. Newark Air Museum is a registered charity located on part of the former site of RAF Winthorpe; its two day Cockpit-Fest event attracts exhibitors from across the UK and Europe, to sample what one former-aviation magazine editor calls “grass roots aircraft preservation”. At this year’s event a diverse range of aviation will be represented. This includes a range of military and civilian cockpits including amongst others: Lightning, Canberra, Hunter, Buccaneer, Brigand and Tempest. These cockpits are amongst many other cockpits from across the history of aviation. From its humble beginnings, when a few like-minded enthusiasts first displayed one or two aircraft cockpit sections at the museum; Cockpit-Fest now regularly attracts, many more visiting cockpits and associated displays. Cockpit-Fest allows the owners the chance to display their prized exhibits to their fellow enthusiast and the general public. 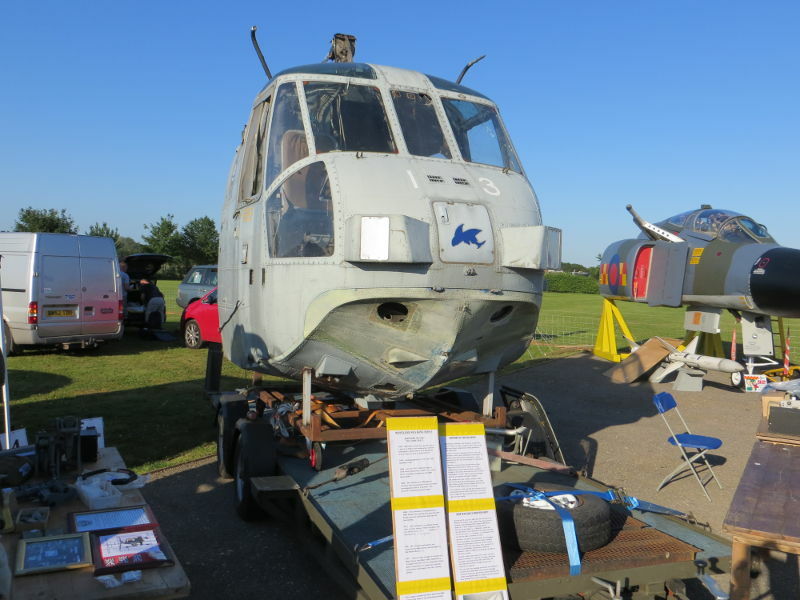 This year’s event takes place on Saturday 23rd and Sunday 24th June; and the event is being staged in last year’s location at the museum, alongside an Aeroboot / Aerojumble aviation and avionics sale. Here enthusiasts and the public can search out those aviation artefacts, books and models. The event is supported by a range of organisations and individuals; with the visitors being encouraged to have a say in deciding, which is the best cockpit by voting on their favourite display and from these results, prizes are awarded. Cockpit-Fest also attracts other visiting displays like local history / military vehicle groups; re-enactors; and even more aviation related displays such as clothing and historical artefacts. As an added bonus this year’s event has a flypast on both days by aircraft from the Battle of Britain Memorial Flight.